TotersTM are proudly made in the U.S.A. 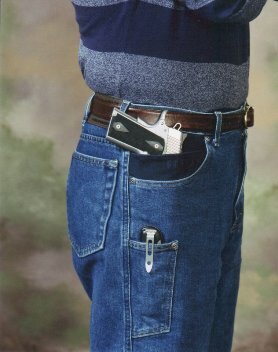 Concealed carry designer blue jeans delivered to you! The jeans are extremely comfortable. It’s nice not to have to wear a holster. They look great and are more durable than any other jeans I have ever owned. These jeans are great! They combine the look and feel of designer jeans with the ruggedness and reliability of my duty gear. 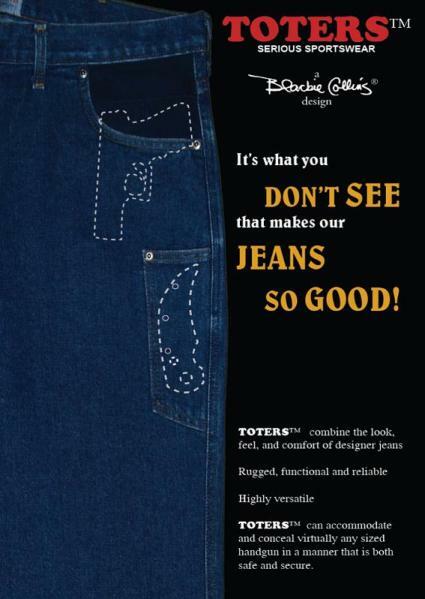 …I just received my pair of Toters jeans today. They are the finest, most innovative article of clothing I have ever owned. The quality and fit are superb, and they do just as they were advertised… I have ordered two more pairs… Thank you… You now have another loyal customer!